The beach can keep kids entertained for hours and we always make sure we pack a bucket and spade. If we bought a new one every time we went somewhere, I would need to buy shares in the manufacturing companies that make them! Cala Gran with its appealing little cafe on the side and easy access for pushchairs. Cala Ferrera has the widest beach and shallowest water and I assume the best one to spend the day at if it’s busy. Cala Serena is a bit further out, smaller, and mainly used for diving, but this means it’s quiet and secluded. Lastly Es Forti, which is the other side of the marina next to the fort and very pretty. 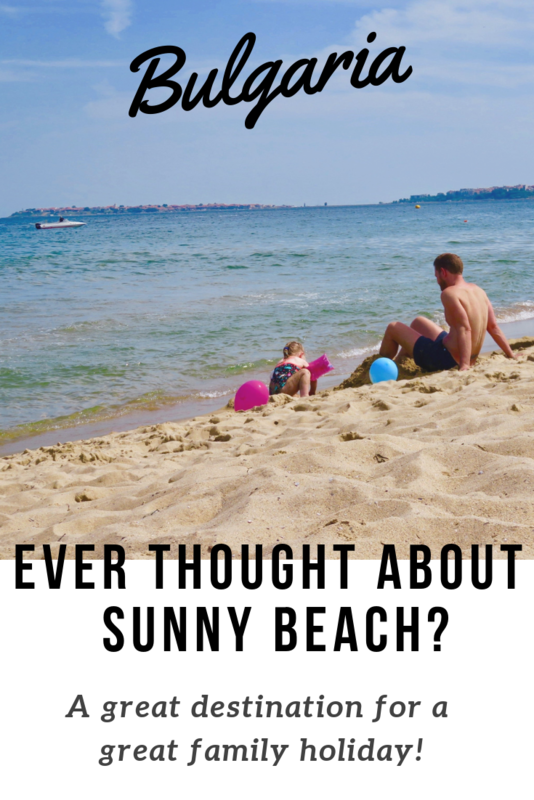 All of the above are walkable from the middle of town and, for most, the sea is pretty shallow for quite a long way out meaning it’s great for little ones to have a splash about. Amble the marina and have a good nose at all the expensive boats and decide which one you would have, if you had the money! I spent a lot of time looking at the cheapest way to do this and unless you have hired a car, which we didn’t, there isn’t really that much difference in the price. We booked it through our hotel in the end and as the kids sat on our laps on the coach they didn’t cost anything. The coach picked us up and dropped us back at our hotel and it’s a great sightseeing day out for the whole family. The walk to the fort is a nice one past the marina and onto a shady path protected by a dense tree canopy. We found that there were quite a few restaurants that offered Menus of the Day for around 11 – 14 euros. These were such good value we were drawn in every time we saw one. Usually consisting of four courses and included wine or water. This was also a good way to experience some really fabulous fish dishes. 6. Go out for All-You-Can-Eat Tapas! In the town of Cala d’Or there were a couple of restaurants that offered all-you-can-eat tapas for about 19 euro per person. We didn’t pay for the kids and the amount we ate and time we spent there made this such a good deal. We chose to go here one day when it was a little rainy and we spent the whole afternoon eating while the kids fell asleep in front of the heaters wrapped in blankets. Also the food was AMAZING and you have to order the figs wrapped in bacon! All rides a euro, including bouncy castle, go carts, and baby ride ons. Another good choice for a rainy day or kids with a bit of energy to dispel. Great way for the whole family to see some wildlife and enjoy the sea in a different way. You also get to see a little more of the islands coast depending on where you go and what trip you take. Thinking of somewhere else to go on a great family holiday? Ever thought about Bulgaria?